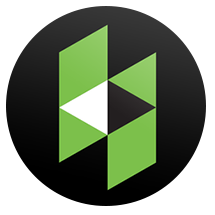 Owner Chris Teahen, began Teahen Construction Ltd in 1994 in the small back yard shed of his childhood home in Stratford Ontario, under the name of ‘Teahen Carpentry and Woodworking’. Though his beginnings were modest, his passion for quality and ‘standing out’ for this attribute was strong even at this young age. Chris went on to found "Tymber Tykes" making childrens picnic tables and the like. Each customer gave testimonial commendation with how impressed they were with the quality of work and his commitment to their job as if they “were his only priority”. These types of verbatim statements continue to come in to this day. Fantastic customer experience is a constant. By 2000, Chris changed the name of the business to Teahen Construction Ltd. after continued growth of the team, customer base and specialized project requests. In 2007, he added Teahen Plumbing to the team, allowing the concept of ‘team’ to come to life through exemplary communication. Seamless end to end project management, further competitive costing for customers and “big picture” quality remains paramount. In 2012, Teahen Construction Ltd welcomed the addition of their Interior Design/Decor Group pulling in team members who could offer more ‘in house’ one stop shop for customer's additions, renovations and new build dreams design and decor. They understand it can be overwhelming when faced with so many choices and now have a team to help. Courtney Teahen, Director of Community Affairs and Consultant for Teahen Ltd. is a lifetime local resident of Stratford. Past President of the Stratford and Area Builders Association (SABA) she continues as an Executive on their Board of Directors. She gives her time back to the community, through volunteer and charity work. Completing her University Degree in Law and Business Management she grew through a 15 year career within a Canadian Montreal based Corporation within the management ranks of; Customer Service, Sales, Communications Training, Feild Operations, Human Resources, Work Force Management, Project Management and Consulting. She left the corporate world in 2012 bringing her management skills back to Stratford to support and consult for Teahen Construction and Plumbing Ltd. In 2015, Courtney took over all phylanthropic and community matters for Teahen Construction Ltd. She said "We have always wanted to put some structure on how and where that we give back to the community that we work and live. We practice these words, it has become part of who our whole team is, holistically and is part of our mission statement but we needed to put the structure in place to practise it consistantly. It is a priority and needs managed, that is what I do." In 2018 Teahen Construction Ltd. launched their custom kitchen, bathrooms and millwork shop. This new state of the art shop allowed their skilled cabinet makers to rise to a new level! Specializing in custom kitchens, beautiful bathrooms, custom cabinetry and fine millwork touches taking home building and renos to a superior level. Clients can be involved as much or as little as they wish in building their dream kitchen or bathroom, from drawings to production. 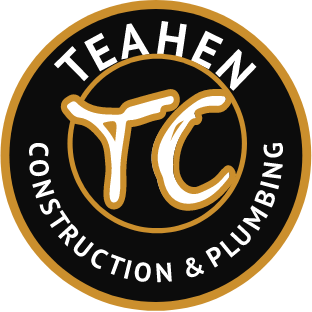 Teahen Construction and Plumbing Ltd continue to transform a house into the home of your dreams…one valued customer at a time.